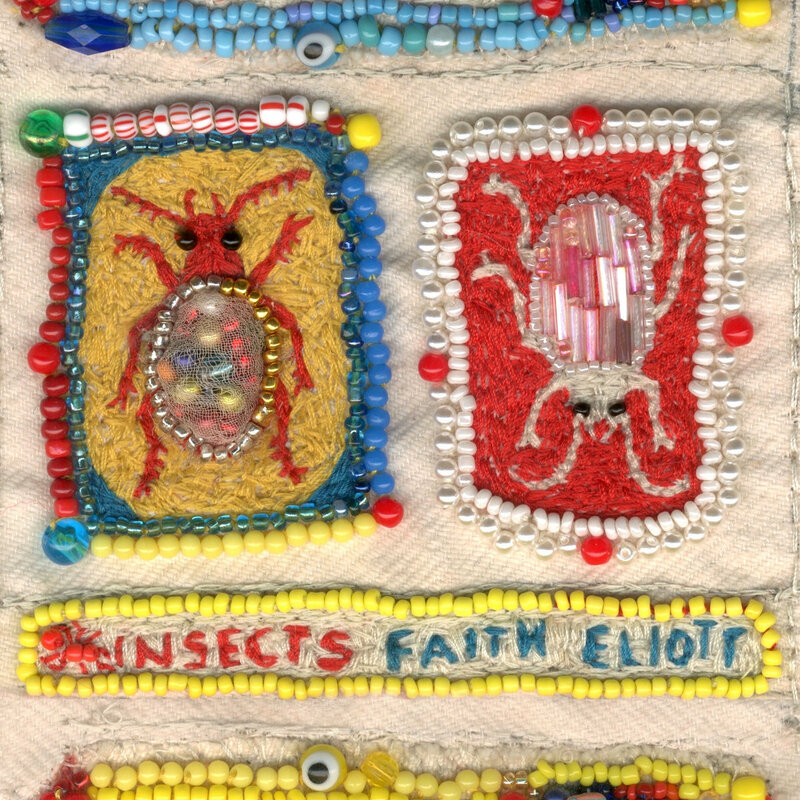 Insects, by musician and visual artist Faith Eliott, is a delightful collection so songs - delicate but not fragile, simply arranged but rich in content. It is lo fi, raw, and at times experimental, but still provides pop gems such as opener "Pyrite Ammonite" or the quietly aching "Distance". It reflects time and place (many songs were recorded in rural Nebraska), as well as the perceptive inner space of the composer. Quite pleasing on the first listen, its power and beauty grow with each spin. Put on headphones and sit on a park bench or your back garden, and let the magic wash over you. Faith is from Minnesota, but has lived in Edinburgh for the last decade. In addition to working as an artist, Faith has worked on several other musician's projects. However, this is Faith's first recording of original compositions. Insects is out in digital and cassette formats via Edinburgh's Song By Toad Records.